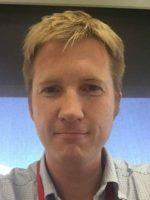 Thor moved to Perth in 2013 as Discipline Lead for Process Engineering in Shell Australia. He divides his time between Prelude and supporting Shell’s interests in the Gorgon and NWS ventures and Technology developments. Thor is also Shell’s subject matter expert (SME) on MEG systems.